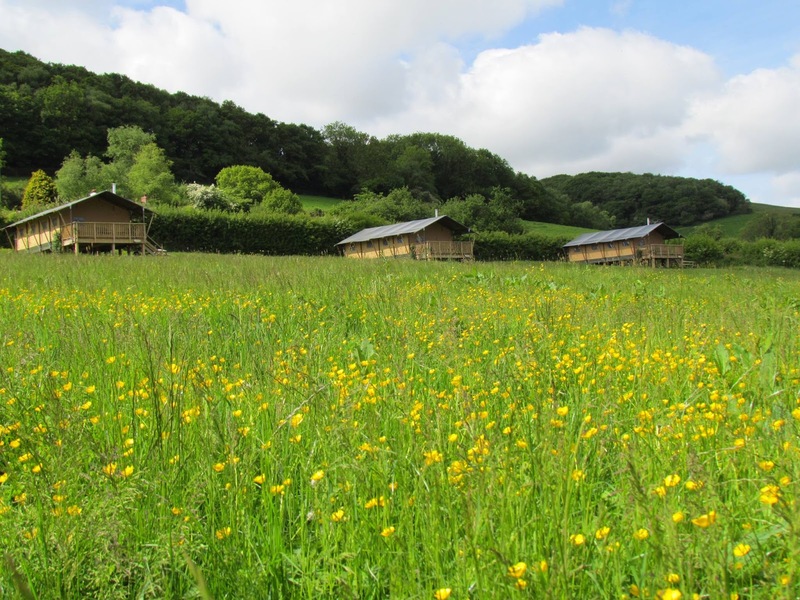 Western Meadows Glamping is a completely new experience for those who want peace and quiet, or travelling out for the day to the numerous attractions inland or coastal (North and South). Our three Safari tents, Campion, Celandine and Honeysuckle, sleep six plus a cot, are large and well equipped with king size bed, 2 single beds and double den bed. Bathroom and kitchen inside the tent, dining area and lounge, out to covered veranda, all built on a sturdy wooden base set in stunning countryside in Cornwall. Towels and bedding are included and basic cleaning products/cloths/scourer. Wood for the range cooker included. There is mains power for electric kettle and toaster. A small mains power fridge/freezer. Mains pressure hot and cold water supplied to kitchen and interior bathroom with double size shower, flush toilet and basin. We have within the large 3.75 acre field a large trampoline, swings/climbing frame. 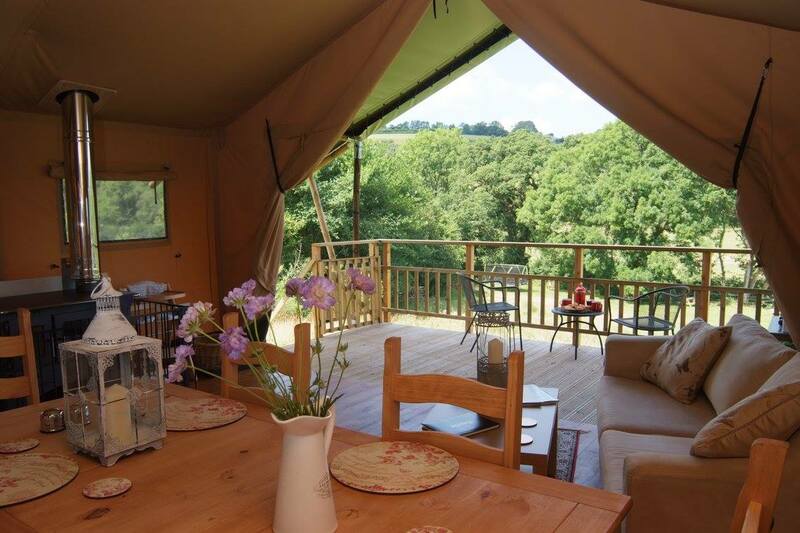 A communal fire pit area with rustic seating to gather around in the evening to meet your fellow glampers. Just 50 metres over the bridge is New Mill Farm Park, fun for all the family and the Launceston Steam Railway.